The jobless rate for July, 7.4 percent, is at its lowest since December 2008, though less jobs were added during the month than economists predicted. 162,000 jobs were added in July, compared with the 185,000 that economists had predicted. 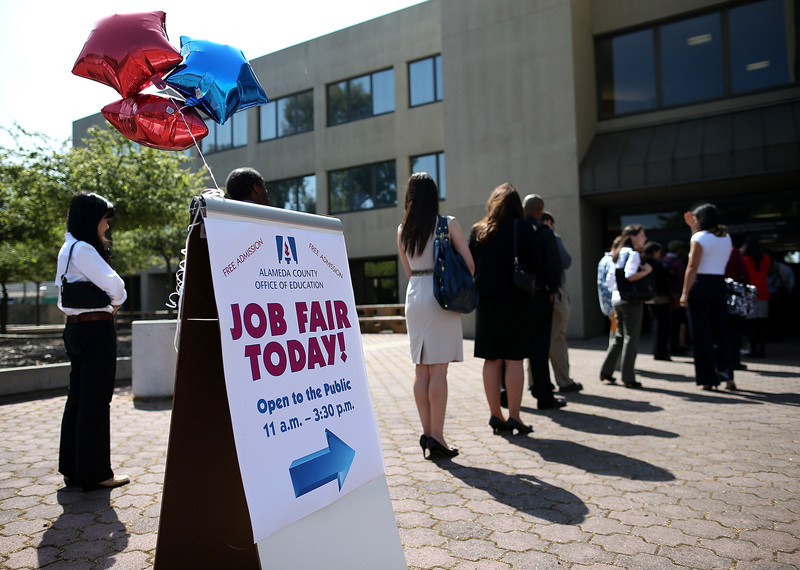 On Thursday, ADP, a payroll processor, had estimated as many as 200,000 jobs were added. Although the jobless rate has seen an improvement, the average workweek and hourly pay earnings have actually decreased. According to Reuters, "the data reinforces the view that the job market is inching toward recovery, with the broader economy still stuck in low gear." Most job gains were in retail (47,000), followed by food/drink services (38,000) and professional and business services (36,000). Some predict that the economy will improve more in the second half of the year, as it took a hit from the federal deficit cuts. Unfortunately, stocks have dropped this morning in response to the data released from the Labor Department. The Dow Jones Industrial Average dropped 63 points, after a record high yesterday. The S&P 500 dropped four points, also after a record high yesterday, and the Nasdaq Composite Index fell six points.